HONOURS None. Personally, I don’t think she deserved any. She had no direct influence on the development of computers, although her status as a female icon is important. Her father was Lord Byron, and her daughter also became a poet. She was always very elegantly and flamboyantly dressed, and I imagine that, like other girls of the time, she was taught to play a musical instrument, to sing and to dance. Her domineering mother arranged for her to be Intensively taught at home by private mathematics tutors, because she wanted to prevent her from turning into a dissolute poet like her father. She was apparently fascinated by machines from an early age, but she only became passionate about maths after meeting Charles Babbage when she was 17. 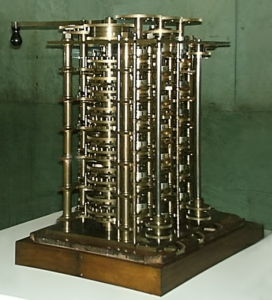 He was then working on his Difference Engine, an early calculating machine for generating mathematical tables quickly and accurately. Her wealth and aristocratic background were important – she lived with her wealthy husband, Hon. William King, at 12 St James’ Square, London, SW1Y 4RB after they married in 1835. A plaque was erected here in 1992 by English Heritage. 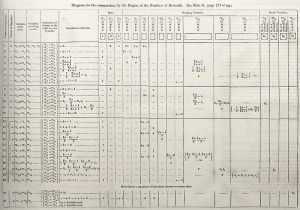 Her most important contribution was translating a paper by General L F Menabrea (future Prime Minister of Italy) about Babbage’s Analytical engine. 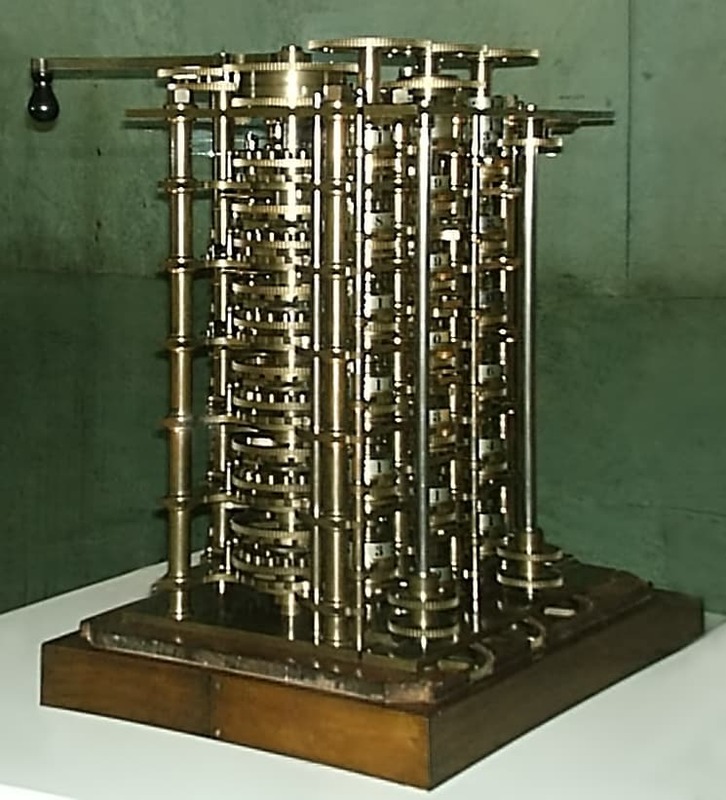 She added extensive notes outlining the possibility of writing a computer program, so that a machine could direct its own calculations independently of human intervention. She also discussed the limitations of machines. 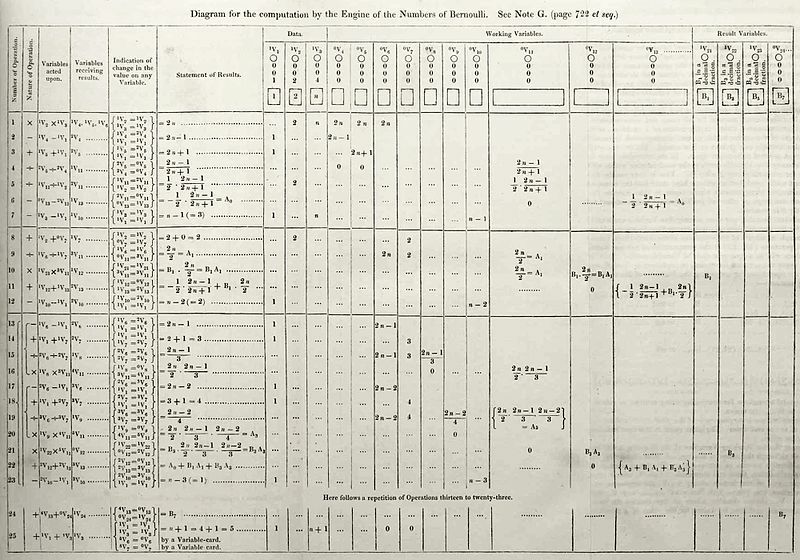 Babbage never completed a working Analytical Engine, and her significance lies in her prophecies about the principles of computing and artificial intelligence. 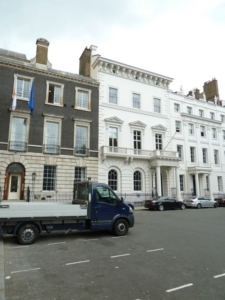 She was an extremely interesting and intelligent woman, well known in London scientific circles, but she has been artificially elevated to the status of a scientific heroine. She exemplifies a woman of huge potential rather than achievement. She died very young, in excruciating pain. Her major influence has been on posterity, although she was also important at the time for communicating Babbage’s ideas. As a talented mathematician, Lovelace represents what women might have achieved in the past if they had been given more opportunities. Her success in the face of adversity inspires modern women to enter the field of computer science, which is currently dominated by men.